BRAC envisions a world free from all forms of exploitation and discrimination where everyone has the opportunity to realise their potential. Over the last 45 years we have grown to become the largest non-profit development organisation in the world, and our work has empowered millions of people living in poverty to take control of their lives. Reaching 1 in every 55 people, with staff in thousands of offices across 11 countries, as well as affiliate offices in another three, a career at BRAC offers you endless ways to make a change in our world. Our story lab is a tight-knit group of social, visual, online and written creatives with big ideas. We collaborate every day, but there are a few pieces currently missing from our brainstorming sessions - we`re hoping you`ll be one of the pieces we are looking for in our colourful puzzle. We are looking for a Social Media Administrator to build our brand, while creating content for our campaigns, events, programmes, and more. You will join a highly cross-functional team of designers, communications specialists and media experts, all working together to bring dreams to life. Your portfolio should be overflowing with examples of your mastery in both Bangla and English, from brilliantly effective hashtags, slogans and memes through to strategic brand messaging. You should be ready to push our team (and our global brand) to new heights. You are someone who`s up to the challenge of telling our evolving story to the world in the most compelling and surprising ways possible, to dig deep and understand what content works where and present multiple narratives. 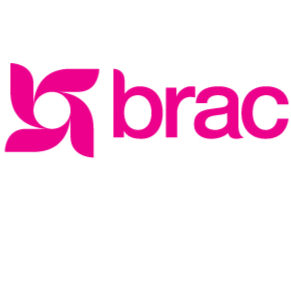 We collaborate with teams across BRAC in Bangladesh and globally, so you can expect to be guiding content for long-term global projects, while crafting stories, designs and plans on a daily basis. Bachelor's degree from any recognised university.